When 2015 started I was 3 months into a relapse of Lyme disease, I was optimistic and did not foresee it lasting too long and expected that by Spring time I would be back on my feet and raring to go. Unfortunately for me it just kept going, seemingly unrelenting. Usually I am very positive, I try to see the best of each situation and see every mistake or negative as a learning experience but as time went on I really started to struggle to see the positive. I have to admit that instead of trying to rise above everything I kind of gave up. In terms of my food – I have been swaying through different phases. Usually I am very consistent with my food, but it swayed between tracking and staying on track to complete mindless eating with no care in the world to what was going in. Exercise has also been a struggle, with some days being unable to keep my head off the pillow – exercise definitely seemed like a thing of the past. I still had my studio classes to take care of so at least I was still getting a bare minimum of exercise in – but I’m not sure what would have happened if I hadn’t have HAD to do that. A lot of it also went by in a bit of a haze – just trying to push through the hour and get it done, whilst also hiding how I felt from my class…….some days I felt like I just wasn’t giving enough and that I was letting down my class members. I always pride myself on giving my absolute ALL to everything and it was almost like I had just given up and become overwhelmed with everything. So now there are the negatives. As I have gone through members emails and posts in our members group I realise that I am absolutely not alone. We ALL have our different struggles in life which throw us off track and make us feel like even the simplest task of tracking a little bit of food and exercise seem impossible and pointless. We have moments in our life where we just don’t see the point and frankly we really don’t care either! There are lulls in our productivity, we allow ourselves to listen to one negative voice in our head over the other more positive one! We give ourselves a hard time over failing to achieve what we set out to and tear ourselves down and continue on our tracks of self destruction. When I was out walking with my daughter yesterday evening it struck me. Instead of continuing to focus on all the negatives and what I COULDN’T do, I needed to stop and refocus and start on a blank canvas. So 1) my year so far has not gone to plan……..SO WHAT?!!! Make the changes necessary to turn it around now, start again and get moving slowly towards making it BETTER. 2) I’m not where I used to be! ………..no I am not anywhere close to where I used to be. I am not the best I have ever been in my LIFE – but I can be the best I can be RIGHT NOW. If I give everything I have right now I am still the best I can be at the moment. Giving up on myself is only going to result in me going backwards, and even though I am definitely not where I was before – how is looking back and beating myself up on something that I can no longer change going to help? It isn’t – not one little bit. When I started running I had no expectations, it was something I had never done before and everything I achieved was a new high. Becoming ill has brought me back to the beginning – and I have constantly beaten myself up because I’m not where I was………but at the moment I need to accept that I’m not the same person right now, so my body is not capable of achieving the same. Instead of focussing on the past – I just need to focus on where I’m at right now and that any kind of improvement is STILL an improvement. 3) There is always a chance to CHANGE! ………no matter what state you are in or what stage you are at there is ALWAYS chance to improve and move forward. There is still time to SHINE at something! I know a lot of people have come to the same point this year as me. That we are already at August and many of our hopes and dreams for the year have slowly slipped through our fingers for one reason or another. That we have lost a little bit of that motivation and control and struggling to get back into their rhythm. BUT – the good news is that this can change. Regardless of where you hoped you’d be, regardless of whether you have gone backwards – you simply cannot move forward if you keep revisiting your failures and inadequacies. Start fresh. You can’t change what has already gone passed, but you can change where you go from here on in. Time to start fresh and draw the line and move forward. If you make a mistake – learn from it and MOVE ON from it! No point in dwelling on the past, we are moving towards the FUTURE! Take a look at yourself in the mirror and remind yourself WHY you want to change, WHAT you want to achieve and tell yourself you CAN do it! You may not be where you want to be right now – but you if you stop, you will NEVER get there. So take stock, be the best you can be right now – and move forward and work towards the best you can be in the future. We are human, we are not always perfect. We make mistakes and sometimes we repeat them over and again. But slowly but surely you WILL get there. This is your journey – and all the bumps in the road are just another chapter on the way to the best possible you. Take a deep breath – and lets DO THIS! Who’s with me? I want to finish todays blog with a special note of thanks to one of our amazing members, Mary Webb. You may remember Mary from a blog we did covering her first marathon & if you are a member you will have seen her posts in our Secret Facebook Group. While my health deteriorated I asked Mary to come on board a couple of months ago and become the official admin for our Facebook group, and she hasn’t let me down. She is full of motivation, encouragement, and posts the most fab recipes and meal ideas. 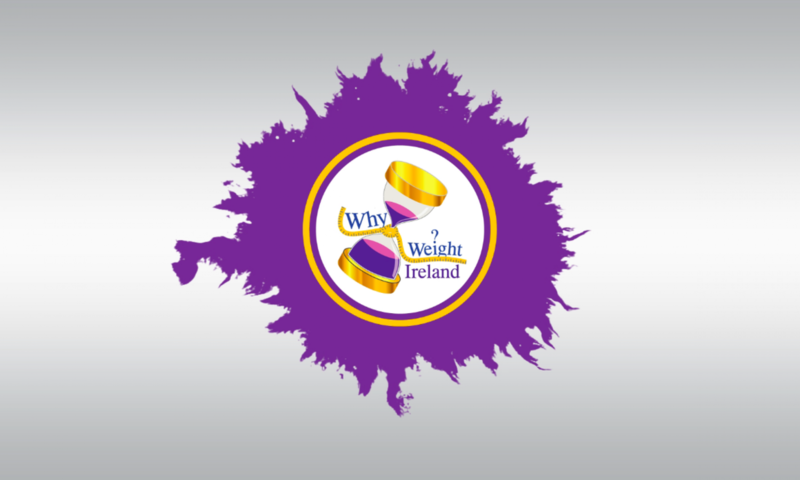 Mary has truly become a Why Weight Ireland family member for life and she has the same passion for helping others as I do and with this in mind, I have asked Mary to continue working with me (which she happily accepted). If you know Mary you will know she has a WONDERFUL way with words and what she writes is a real delight to read. Mary will soon begin sharing her words with all of you as she will become a main contributor for our blog. I am positive that you will enjoy reading what Mary has to say as our members already do and I am sure you will welcome her blogs like you have done mine. To make sure you don’t miss any of our blog posts why not register your email address on our website (right hand column – Blog Via Email) and you will be notified when a blog has been published.